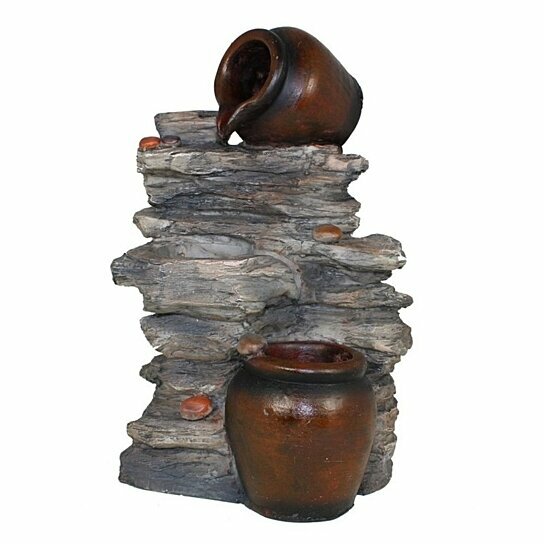 Jars and waterfall design with classic rocky finish makes this water fountain a very attractive decor choice. Adorned with wild natural twist, this fountain will enhance the appeal of your home and break the decor free from monotony. Best for indoor as well as outdoor use this can be your best choice for impressing your visitors with your decor taste. So, get this one soon.